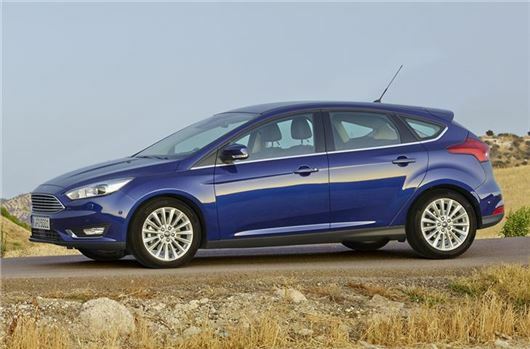 www.drivethedeal.com has some the following deals on the brand new Ford Focus model, all supplied by UK main dealers. Prices include road tax and delivery to your door is free. With reductions of around 25% off this brand new model, these deals can save you more than £5000. This discount is conditional upon you taking out one of the below finance plans arranged by the dealer. If you do not wish to take the finance then you will need to add the amounts mentioned above to the prices that we quote. Note: You only need to borrow a minimum of £2,500 on Hire Purchase finance to qualify for the above sums of money. 1. 4.2% APR Representative Finance on Options (PCP or Cashplan) over 24 months. 2. 6.2% APR Representative Finance on Options (PCP) over 30 months, or 7.2% APR Representative on both Options (PCP) and Options Cashplan over 36 months. 3. 7.2% APR Representative Finance on Acquire (Hire Purchase) over 24 - 48 months. Titanium/Titanium X models: Please note that our quotes include a FREE SYNC2 Navigation (if option is fitted to the car). Please request this on ordering. Ford are also offering a Convenience Pack (Active Park Assist, Front & Rear Parking Sensors and Power Folding Mirrors) at a promotional price, starting at £299 on Titanium (RRP £450) and £599 on Zetec (RRP £850) models.